Unsure about switching to solar energy? 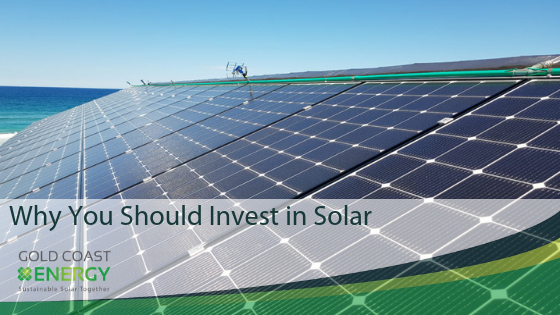 You need to consider investing in solar energy… and here’s why. The first step to choosing solar, is understanding how it works. Sunlight (solar energy) is captured by Photovoltaic solar cells (solar panels) which convert the light to DC power. The overall amount of power (Kw) generated depends on the quality and power of the individual solar panels. Also how many panels you have installed on your system. As DC power cannot be used in Australia without causing damage to appliances, a solar inverter mandatory for all solar system installations. The inverters job is to ensure that DC power is converted into AC 230V 50Hz power which can then be safely used by all your household appliances. The rule for inverters is that the inverter rating must by at a minimum the same as the solar panel rating. 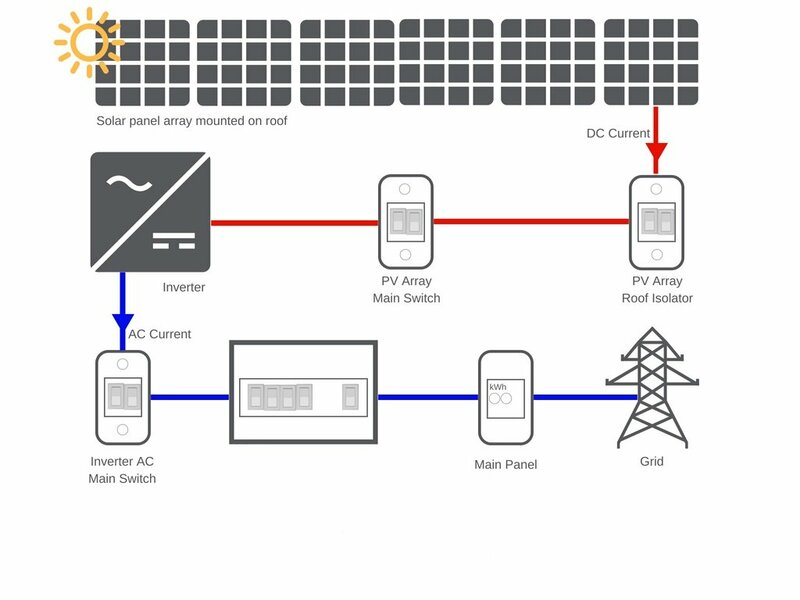 In short, a 2Kw PV solar panel array must connect to nothing smaller than a 2Kw inverter. You can install an inverter with a larger rating than your panels with no risk. For example, you may install a 4Kw inverter to your 2Kw solar array, which will allow you room to upgrade your array up to 4Kw in future without needing to change inverters. After installation, your inverter will be connected to the load side of your electrical meter (attached to your existing house electrical system). We call this a ‘Net connected grid solar system’. Now that you know a little bit more about how it works, let’s now figure out whether it’s a worthy investment for you and your family. Let’s look at all the benefits of solar together. 1. Two neighbouring houses are for sale, one with a solar system and one without. 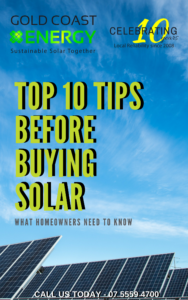 The addition of a solar system will immediately increase your properties appeal, as well as resale value. This benefit happens immediately as soon as you’ve finished installing your solar system. 6. Solar panels provide a performance warranty averaging around 25 years. With this guarantee, expect your solar panels to continually produce energy well into the long-term. We have tested panels that are over 40 years old still producing around 80% of their rated power. So, is switching to solar energy worth it? Free electricity after payback, sounds good doesn’t it? Although the benefits of solar energy are numerous, head this word of caution. There have been numerous instances of solar installations being installed and reported as faulty or unsafe. To be certain your solar system is safe and will perform as promised, ensure you employ an accredited Clean Energy Council solar specialist. The best part about solar? If the sun is shining, your solar system is delivering your house clean, renewable and essentially free energy. How your energy production is managed will depend on your household consumption. In a solar energy system, the power it generates during the day is used first. If your power consumption requires more than the energy created, the extra energy will be supplied to your home via the grid. On the contrary, any excess power generated that isn’t used is sent back to the grid through your energy meter. If this is the case, you should receive a credit for energy you fed back into the grid during the period. This buyback rate will depend on your electricity supplier. Ensure you shop around for the best possible deal as all suppliers are different. 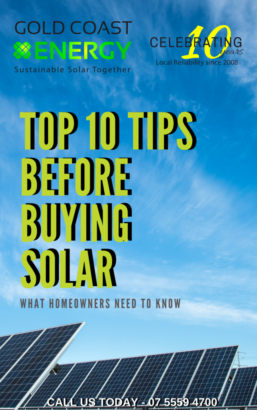 There’s everything you need to know about solar. The amount of energy you generate using solar will positively impact your energy consumption and electricity. Not to mention the fact that you have the potential to receive a credit to your electricity account due to any excess solar generated. Based on your pattern of energy use and the size of the solar system you choose to install, you can reduce, eliminate and even make money off your electricity bill. Doesn’t that sound fantastic? Before I go, I wanted to share a few energy saving tips for you as a thanks for taking the time to read this blog. So here are a few tips you can implement in order to save on your energy costs. – An obvious solution however it is most often overlooked. Switching off lights and appliances when there is no one using the room doesn’t cost a cent but could save you valuable dollars long-term. – Replacing old appliances such as a fridge or electric heater can save you up to 30% on operating costs. – You may also consider upgrading your appliances to gas, as ovens and heaters are one of the biggest energy consumers in households. – We recommend that you also consider replacing old style light globes. This simple task can save you up to 80% on your light costs. – As I mentioned earlier, installing a solar system can potentially make you money after payback. – All our clients that have installed solar systems have had their electricity bills drastically reduced. Some of our best results have been 1.5year payback on energy savings alone. This is because we ensure all our clients are fitted with high-quality solar systems that match their energy needs. Average savings range from 25-100%. If you are interested in switching to solar energy, give our office a call on 5559 4700 and our friendly team will be able to help!